2019 Bella Rosa Ladies League! 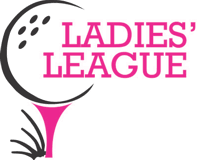 Join us for the 2019 Bella Rosa Ladies 9-Hole League on Wednesday evenings! There will be a non-competitive and a competitive division. There is no fee to join, simply pay the golf fees ($11 to walk, $20 to ride) each week you play. The competitive division will just require a GHIN handicap. The sign-up deadline is Tuesday night each week. Once entries are received, players will be grouped in foursomes. To register, CLICK HERE or call the golf shop at 303-678-2940.